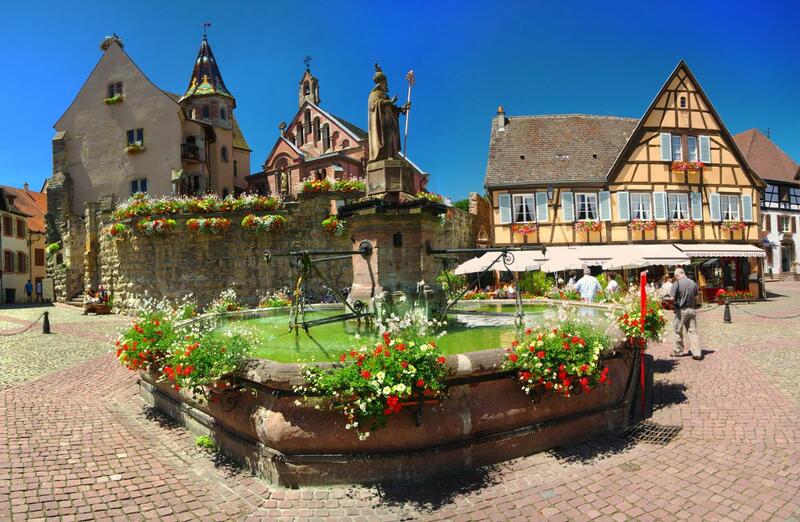 This morning depart for a full day wine tour in the Alsace vineyards. The Alsace Wine Route winds its way from north to south, for more than 170 kilometers (106 miles) along the eastern foothills of the Vosges. It has become famous the world over for its exceptional natural beauty as it leads visitors across rows of undulating, vine-covered hills, and through quaint villages.